Anyway, when I featured Lhoydz of Xai Baby Shoppe on March 17, one of her loyal customers messaged me about a blog collaboration. I did not think twice about it when I checked her Facebook page. Her hairbow designs are lovely and she also has good ideas that made our partnership a light experience. I'm just so happy that I've been blessed to reach out to a lot of mompreneurs wanting to expand their business by being featured on a mommy blog, like mine. 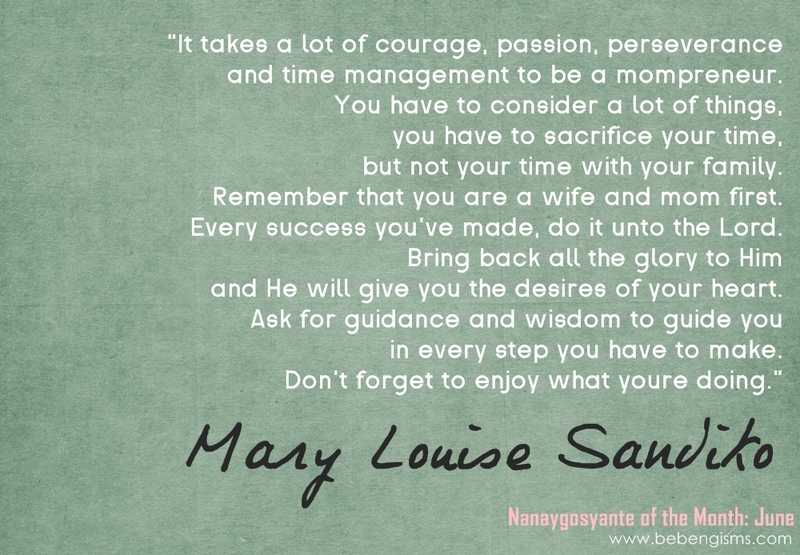 Mary Louise Sandiko started her online business by opening a private account on Facebook almost a year ago. 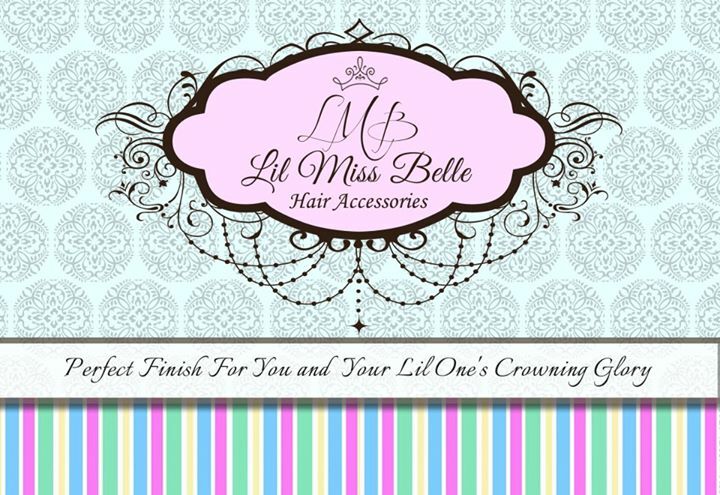 Li'l Miss Belle offers hair accessories for infants and little girls, formal headpieces, made-to-order maternity sash and bow organizers. Like most of the mompreneurs I have interviewed, Louise's husband helps her in the business the best way he can. Christopher, a Mechanical Engineer by profession, sews ribbons and hair trinkets to help his wife whenever there's a bulk of orders to be delivered to a mall client immediately. But it stops from there. He lets Louise do all the designing, conceptualization and other legwork. He just supervises her with the business' financial aspect. 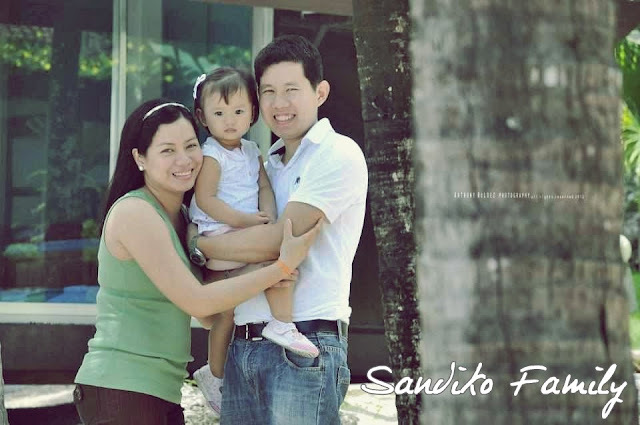 Their partnership as husband and wife continues to challenge them as parents. While Louise is a busy proprietor of Li'l Miss Belle, she still knows the difference between urgent and priority. As much as she wants to accept all the orders/inquiries that come her way, she refuses to entertain customers with rush orders. Because she is a mommy with no nanny. Mommy Louise is a hands-on mom to 2-year-old Eliana Faith. She wants to be by her side to see each of her milestone. Her active toddler seem to be in very corner of the house that she wants to keep with her the whole time. She also chose to focus on her child more now that Faith has become a picky-eater. 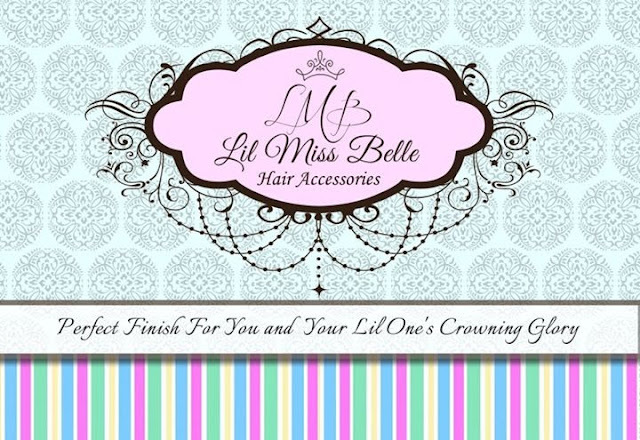 Please watch out for a giveaway sponsored by Li'l Miss Belle. I'm sure your little misses will adore the beautifully-crafted pieces.